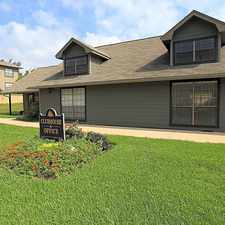 This apartment is in the Country Club Hills - Lakeshore neighborhood in Shreveport. Nearby parks include Atkins Park, Queensborough Park and Jewella Park. 3924 Eileen Lane has a Walk Score of 34 out of 100. This location is a Car-Dependent neighborhood so most errands require a car. This home is in the Country Club Hills subdivision. It has 3 bedrooms and 1.5 baths. The eat in kitchen has plenty of storage and includes a dishwasher, electric cooktop, and a wall oven. The large living room has wood flooring and a fireplace. It features a spacious bonus room right off the carport. Full size W/D connections. Pets are subject to Owner approval. NON-Refundable pet fee required. Large breeds or multiple pets may require a higher pet fee. Minimum is $250. To apply for this property or view our other available homes visit our website at www.stevenspropertymgmt.com. Explore how far you can travel by car, bus, bike and foot from 3924 Eileen Lane. View all Country Club Hills - Lakeshore apartments on a map. 3924 Eileen Lane is in the Country Club Hills - Lakeshore neighborhood. Country Club Hills - Lakeshore is the 10th most walkable neighborhood in Shreveport with a neighborhood Walk Score of 35.